Let’s face it; preparing prescription medications everyday for residents or a loved one is time consuming, stressful and requires intense concentration. Simplify your routine as well as theirs with our M-O-T (Medicine on Time) blister packets that we refill every month. This convenient method frees up your time and helps patients remain compliant with their medication regimen and stay on a healthier path. Nearly half of all prescriptions filled each year in the United States are taken incorrectly. 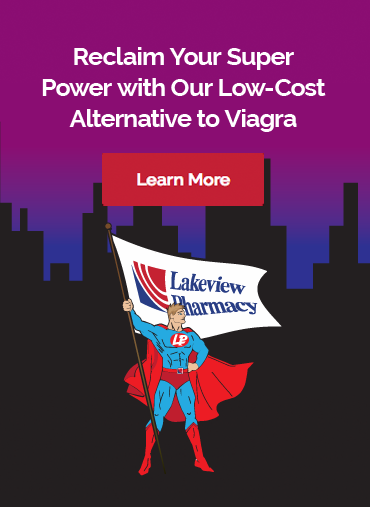 Word on the street is, if you have confusion about your medications, go to Lakeview Pharmacy. Our goal is to help caregivers, both professional and those at home, administer medication to their patients on time, every time. Each M-O-T (Medicine on Time) blister packet holds up to six medications to save space and increase organization. The packets are separated by time and each bubble is labeled with the patient’s name, date, time and drug name. The calendar cards are color-coded and easily separate into individual small pill cups, convenient to take on the go. Our pharmacists provide vigilant care in filling each prescription and double checking dosage for each patient. We include detailed instructions as a helpful reminder to take all medication on time, and all prescription refills and updates are handled directly between Lakeview Pharmacy and office of the doctor’s patient. If you have a loved one that could benefit from our Medicine On Time Service, we would love to sit down with you to discuss their medications and get started. The service is $30 per month and includes FREE Delivery for patients living at home. Call 262-632-8215 to Simplify Medication Regimens Today!